The tech industry has opened up a new frontier to anybody who comes with little knowledge and hard desire. But in case you are setting up a new tech business, you would need someone to guide you through wouldn’t you? Well this app might be a boon in setting up your new business. 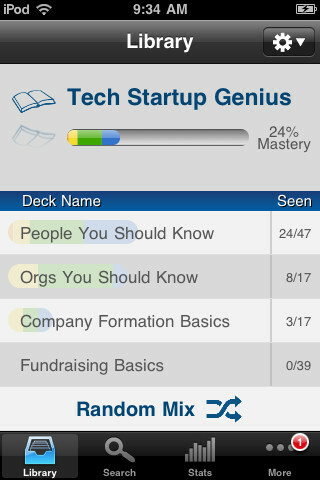 Tech startup genius iOS app provides you the support you need. It begins by asking questions such as – Whom should you know? What corporate structure should you follow? In today’s challenging financial times, setting up a business is hard as anything. You can have million dollar ideas at your disposal, but they might end up in the bin unless they are properly executed. In case you don’t know the answers to questions don’t panic. The answers are right there. The app is in every way like a how-to guide, except it explains how to set up a business. The app is free and we don’t think there is any harm in downloading ad taking the free advice. It might help you take care of different arenas of your business, whether it be hiring, paperwork or deals.